How can my cinemagraphs be featured in the Flixel galleries or social networks? 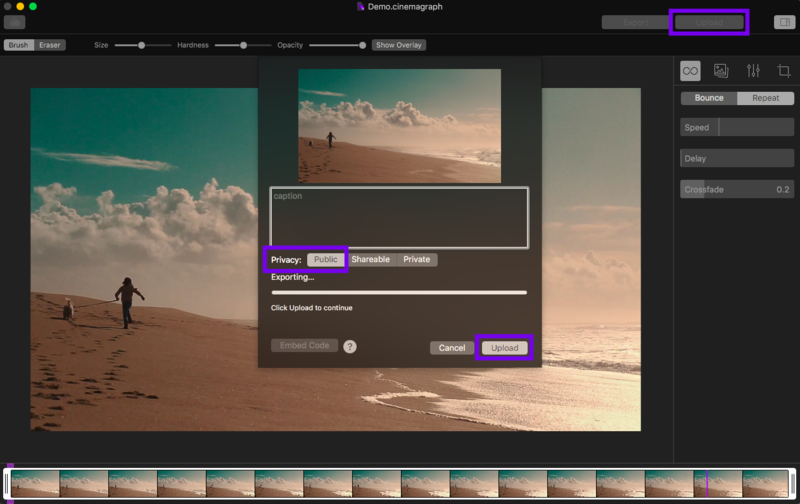 We love to hear Cinemagraph Pro users excited to share their cinemagraphs with the world! Our Marketing team selects a few cinemagraphs from the hundreds of daily uploads to flixel.com to feature in our galleries and social networks. If you're interested in having your cinemagraphs featured, keep uploading your cinemagraphs to your Flixel Gallery as Public. Please do not be discouraged if it takes some time before you see your cinemagraphs featured in our galleries or social networks. We see so many amazing cinemagraphs and selecting only a few is becoming increasingly difficult! You're welcome to reach out to us at support@flixel.com with the URL of your Flixel Gallery if you're interested in receiving feedback!